Home › Immigration › After Copenhagen, after Paris, is Finland needing to address the issue of a new type of terrorism? After Paris some weeks ago, Copenhagen has been yesterday the victim of a double terror attack. During the first attack, around 3pm, a man riddled with bullets a cultural centre where there was a debate about Islam and freedom of expression, killing one person in the audience, a man aged 55 and wounding three policemen. Subsequently, gunshots rang out after midnight 11pm near the synagogue in Copenhagen. One person was fatally wounded in the head, a police officer was wounded in the leg and another in the arm. After the first shooting, Prime Minister Helle Thorning-Schmidt, denounced “a cynical act of violence.” She believes that “there is evidence that the shooting […] was a political attack and therefore a terrorist act.” Paris immediately condemned “with the utmost firmness” the “terrorist attack“. Washington spoke of a “deplorable” attack and offered to assist in the investigation. 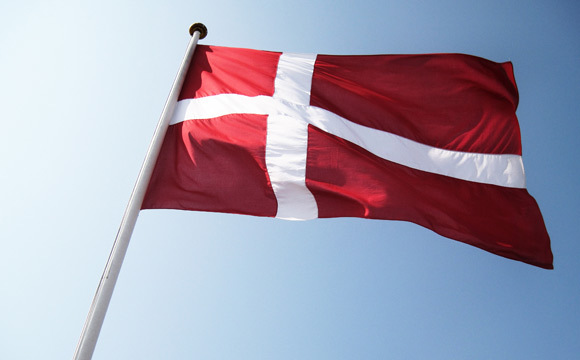 In the next days, there is a need to show our support to Denmark after these death which have certainly shocked a peaceful Danish population, who considers, as French people do, that freedom of expression – and of religion- is one of the main value of democracy. We will certainly see in the next days if the origin of the attacks in Copenhagen were the same as in Paris: a very small group of people, with minimum support for a small network around them, trained by terrorist organisations in the Middle-East. In Paris, all three were tied to a various networks of extremism and making ideologically-driven trips to Yemen and Iraq. Two of them reportedly travelled to Yemen and received military training from al-Qaeda-affiliated terrorists. Since 9/11, the methods used by groups like Al Qaeda and its competitor, ISIS (Islamic State of Iraq and al-Sham, ISIS in English, in arabic DAESH) have changed: after the large-scale attack on the US, the terrorist groups are now targeting Europe by pushing local radicalised individuals or small groups to choose their own objectives and organise small-scale terror attacks, after providing adequate trainings and weapons. The aim of this strategy, in particular in Europe where Muslims are in large numbers, is to create an anti-Muslim climate among the general population, and by doing so to develop radicalism among European Muslims. Are the Nordic countries, and in particular Finland, targeted by this strategy? Certainly. Concerning Finland, the number of Muslims is quite limited, around 40 000 to 50 000 persons, compared to 400 000 to 500 000 in Sweden, 270 000 in Denmark and 4 500 000 in France. But it is a relatively recent immigration, with the majority of them having arrived since the 90s. However, the number of Muslims in a country is certainly not a good indicator of the possibility of terrorism, as well-integrated people with Islamic religion are no more dangerous than Lutherans or Catholics. The worrying fact about Finland is that, proportionally, the number of people who travel to the Middle-East to fight among the radical groups from ISIS and Al Qaeda is quite high. According to a CNN infographic, (proportionally) “Finland tops list of countries with Muslim fighters in Syria […]. Roughly 30 of them have left to engage in jihadist battles in Syria”. Chief Inspector Tuomas Portaankorva of Finland’s Security and Intelligence Police SUPO estimated that even if “the absolute number of Muslims fighting abroad was still small, […] returnees from Syria in particular may pose a national security risk that SUPO is currently evaluating”. SUPO even indicated in September 2014 that “the number of tips about ISIS terrorist group recruiters trying to lure young people living in Finland to the conflict areas in Iraq and Syria has increased. More than 40 people have left Finland for Syria’s conflict areas”. What are the responses of Finnish authorities to this threat, and is there a discussion in the Finnish government to better protect the Finnish population, as it has been done in France and among the European authorities? There is definitely a security and anti-terrorism policy In Finland (you can find here an interesting report for 2013 by SUPO), but there is clearly a need to work on a new strategy. But what should it be? There has been a debate in January 2015 on monitoring the communications of Finnish Internet users to detect terrorist and foreign military intelligence activities with two opposing views on the issue. The Finnish Defence Forces want to have the right to collect information, but officials from the Ministry of Transport and Communications considered that “the collection would jeopardise the privacy of ordinary citizens due to the vast variety of communications that would be subjected to analysis. In addition, the proposal to grant the right to mechanically collect information to the Finnish Police and Defence Forces would not yield the desired results”, according to Finland Times. In reality, the Ministry of Transport and communication is right about the usefulness of the measures, at least for counter-terrorism: the Paris attack would not have been prevented by a better Internet surveillance or communications surveillance, as the terrorists were well trained and were not using emails or identified telephones for their preparation. The main problem in France has been the lack of human resources in the police, as the killers were identified as serious risks but police forcews were obliged to limit the surveillance because of the lack of manpower. The government is obliged now to spend additional 425 million euros for additional resources for police and justice. In fact, the principal problem in France, and in other countries, is the correct integration of the population, immigrants or native (as in France where a non-negligible number of people fighting with ISIS in Syria are not of immigrant background). The recruiters from ISIS on the web are using arguments such as the possibility to get a salary, food, lodging and a valuable cause to get people to go and fight (and be trained) in Syria. This is apparently addressed by the French government, with an additional 500 million euros to improve the situation in places where are the most social problems, such as Paris’ suburbs, and on immigrants’ integration. So, for us in Finland, the question is probably not to get a better Internet surveillance, but to look at a global policy which would prevent people to become radical Islamists, and ultimately terrorists. It supposes a serious public debate, as a good balance has to be found between the preventive measures, the surveillance and individual freedom. It is probable that the best anti-terrorism policy would include an effort to improve the situation (buildings, activities for young people…) of places where social problems are the most critical, a better integration of immigrants and of their families, including anti discriminatory measures (we will come back to that in the next days with an interview of Eva Biaudet, ombudsman for minorities), a reinforcement of the police and justice to be able to have a good surveillance of suspected people (in particular coming back from trainings in the Middle-East, and of recruiters), measures to treat people who have been indoctrinated by extremists, and maybe a better legal coverage of police interventions on internet, under the supervision of the justice. However, we have also to be careful and not overreact by using a lot of resources to combat what is a spectacular risk and ignore other dangers that are potentially more threatening. • the bombing which took place on October 11, 2002, in Myyrmäki (Vantaa, Finland) at the Myyrmanni shopping mall, with eight persons dead and 66 victims injured, was perpetrated by a 19-year-old chemical engineering student. The origin is unknown, but some are attributing it to the stress put on young generations associated with a love for explosives, even if no real explanation has been found. • the Kauhajoki School attack, on September 23, 2008, at Seinäjoki University of Applied Sciences (Finland) was resulting in eleven people killed and one injured by a misanthropic student, who has indicated before dying that he was bullied in the secondary school before developing a love for weapons. • the 2011 Norway attacks were two terrorist attacks against the government, the civilian population, and a Workers’ Youth League (AUF)-run summer camp in the Oslo region on 22 July 2011, claiming a total of 77 lives, as indicated in Wikipedia. The person was declared insane at the time of the attacks. These lone-wolf attacks are pointing towards the need to address mental health issues and stress in society, in particular for young people, and the banalisation of hate language. These issues is dramatically forgotten , at a time when the economic situation pushes the government to cut into the health and social sector, and not improve the situation in schools. And as a final element, we should remember that in Finland, every year, around 250 people are killed in road accidents and 144 in murders (around 25 % of them being women, mainly killed by their husbands or another family member). It would be worth a better analysis about the French case before making a conclusion on a possible solution in Finland. First of all, you cannot, monitoring the Web, prevent or read about well trained criminals, they would use encryption that no one can break so far unless you have enormous computing capabilities. But for some of them, even the USA are not able to do it yet. The actual thing that would have helped in France is a better surveillance of these particular criminals who were already in jail before and had been released and you don’t need the Internet for that. Moreover, guess where these guys met and planned stuff? In jail. You cannot blame a whole system which respects its citizens because of an inefficient police service in a EU country. Thank you for your reply. Sorry I am not sure anymore whether I missread the end of the article or if it was updated since my first comment but the analysis it has at the current day is actually very good. Education and hearing the society is the key to all of this. This debate that happened in Denmark should have been helping for this. I haven’t read enough on this point to discuss it but what actually happened there is the result of a lack of thinking, evaluation and communication. I truly hope EU countries will consider this point correctly, not letting any extremis thinking (including on terorism issues) rule the society. The current situation in France is difficult, at least this is what I felt last time I was in Lorraine. Many people think in an extrem way due to the lack of quality of education and their voices being neglected by the society from early in education. The hierarchical model of the society and elitism plays a big role in this. First of all, I’m very delighted to find this website, as Julien mentioned a ”finnish site discussing politics in english” isn’t a usual thing. Well i’m an Egyptian student that is currently preparing my master’s degree in Finland, i’ve been living here (Espoo) for 6 months. As for the article, i think it’s very well written, unbiased and balanced article, it addresses the problem with stating the facts. If i may share some of my thoughts about the situation of islam, both moderate and radical, in europe and especially in Finland, since both of them are present. I think that we must separate between muslim immigrants and muslim refugees, they are different, an immigrant can be a skilled worker, that can benefit the economic cycle and not live as a liable on finnish tax payers. As for muslim refugees, well for me this is the main problem, i will try to put it in the way i see it. Imagine you have a company and you have 2-3 vacancies available, but you have like 50 applications, whom are you going to choose? the ones that can’t even use Microsoft office tools? they would be useless. Or the ones that you know that can easily integrate and blend in with your company. I know that this can be viewed as againest human rights, but then again i can imagine what these refugees have been through in their home countries, some have lost their houses or even their families, but still if you have like a 100 refugees requesting to come to finland and you are only accepting 10, then you should atleast try to pick the most worthy 10 of them. So that they would take the least time to integrate in the finnish community and they might even have the adequate experience that qualifies them to find a job in finland and again not being liable on the finnish economic system. For me this is the fair thing to be done, fair for both sides, the finnish tax payer and the refugee aswell. Finland must close it’s door on the ‘unknown’ migrants. Finland must stand it’s ground….no more ‘unknown’ migrants, and work on your defence.